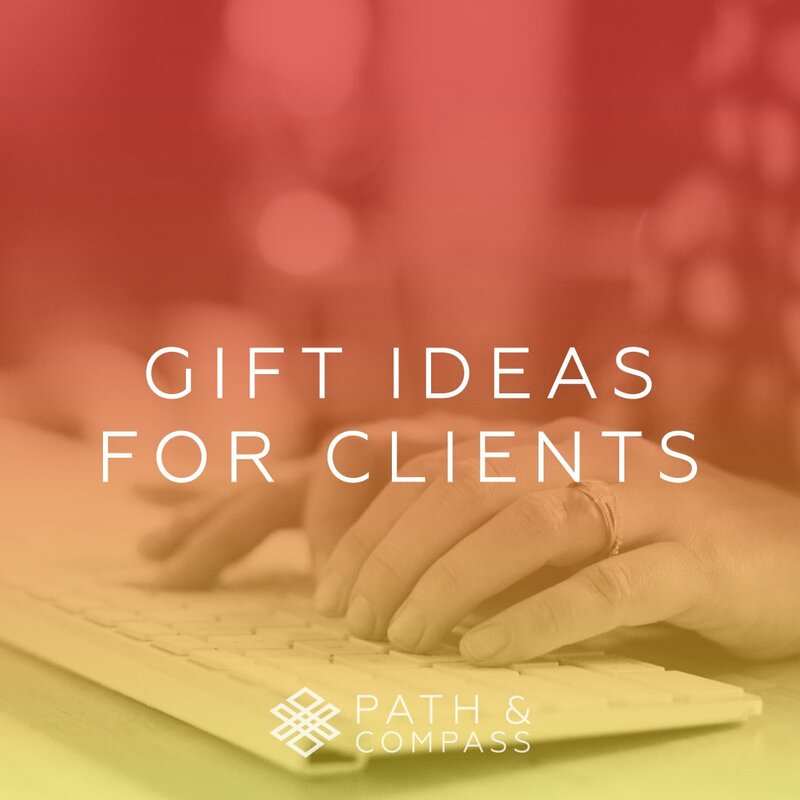 Path & Compass, founded by Krista Chapman, help connect wedding and event business to more clients and intentionally grow their business. We partner with small business owners and leaders in the wedding and event industry to provide long-term brand strategy and marketing support. Services including business coaching, sales training, branding, logo and website design, social media and blog management, graphic design, budgeting, goal setting and thoughtful growth. Based in Nashville, TN. Gift boxes. I LOVE curated boxes of goodies and with the surge in subscription boxes, your options are endless. Extra bonus when they come in the mail! Batch Nashville is a great option for Southern-themed items. I also like GlobeIn andSparkle Hustle Grow. If those aren’t a fit, check out CrateJoy for a comprehensive list of gift and subscription boxes. Inspiring books. Second to gift boxes, I love to get lost in a book. I believe everyone should have a copy (or two) of The Alchemist. My other top gift picks include Big Magic, Daring Greatly, ReWork, and anything by Malcolm Gladwell. Double your gift impact by shopping your local bookstore like Parnassus Books in Green Hills. Essential oils and a diffuser. I made the switch from candles to oil diffusers a couple years ago – it makes a great gift for someone’s office. You don’t have to worry about accidentally leaving a candle lit and you get the added benefits of aromatherapy. I am partial to DoTerra Oils and diffusers are readily available on Amazon. Charitable Gift. For the person that has everything, I like to give a donation to a local charity in their name. Laura from Little Lady Big Cause is the person to know in Nashville and can connect you great local nonprofits where your donation will have an immediate impact. Spa Gift Card. We all work really hard in this industry and I love any gift that requires me to relax. I love Escape Day Spa in West Nashville but I have also been interested in checking out Float Nashville and Himalayan salt cave therapies in case you want to send something a little out of the box. A nice bottle of wine. All price points and it goes perfectly with the aforementioned spa day. A little harder to wrap up, my most favorite (and often hardest) thing to give is my time and attention. Be sure to carve out some of your very precious time for the ones you most love in the coming blur of the holidays. Including, and most especially, yourself.